While a home’s perfect location, size, and amenities are unique to each buyer’s personal situation and budget, about half of respondents to a recent survey are agree on a few key points. Roughly half of Americans and Europeans believe that a waterfront location is perfect for a home, followed by about one-third who want a view of the coast, a city, or hills. The least-popular location is near a golf course, cited by less than 4 percent of both Americans and Europeans. That latter trend should come as little surprise, considering that golf is losing popularity with millennials and other younger Americans. The classic ranch-style home is the No. 1 choice for both Americans and Europeans. 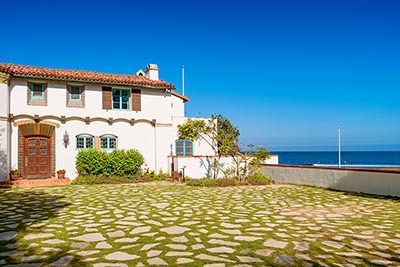 Craftsman-style and Mediterranean homes are also popular with both groups, though Europeans are more likely to prefer Art Deco homes, which Americans put at the bottom of the architecture-style list. Brick is the preferred construction material for Americans, with 27 percent saying it is part of an ideal home. Similarly, nearly 30 percent voice a preference for composition shingles for the roof. Inside the home, 42.1 percent of American respondents said that granite kitchen counter tops are ideal, and 30.1 percent want tile floors in the that room. Nearly half prefer that the rest of home have wood floors, though 40 percent feel that carpet is the best flooring material in a bedroom. When it comes to home amenities, Americans overwhelmingly want central air conditioning, cited by nearly 80 percent of those surveyed. About two-thirds think that an ideal home has a deck and a laundry room, and 60 percent point to a finished basement and solar panels as key features.